Cosmetic loot boxes and soldier customization return. EA and DICE will follow-up Battlefield 1's foray into the first World War with a sequel which will take place during World War II. 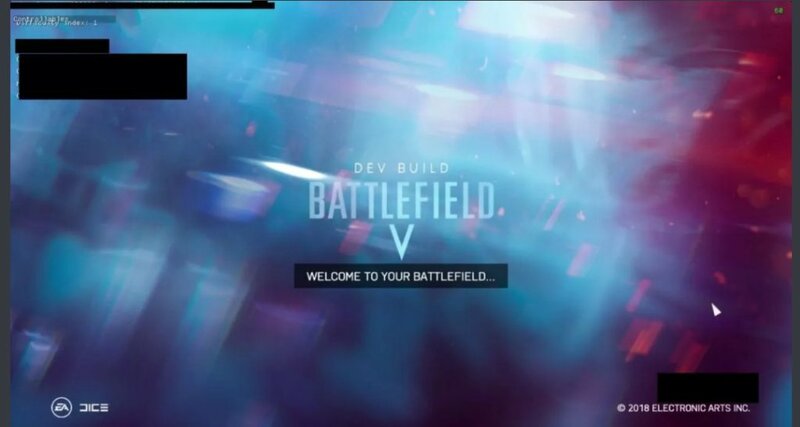 The game will not be called Battlefield 2, but rather Battlefield V.
GamesBeat reported that sources close to EA's plans confirmed the next Battlefield game will be set in the second World War, the first game in the series to do so since 2009's Battlefield 1943. Oddly enough a later confirmation revealed that internally, the game was known as Battlefield 2, but will launch as Battlefield V as a follow-up to Battlefield 4. The game will still be set in the past, despite this. A placeholder logo for the game has appeared online, but may not be the final design. The news confirms details that USgamer has learned as well. Additional details for Battlefield V from a source familiar with the project told the site, "Loot boxes are back but cosmetic only. Way more customization options for your soldiers than previous games." It should be noted that Battlefield 1 also had cosmetic-only loot boxes, but this point will likely be highlighted amidst the loot box controversy. Apparently DICE settled on the strategy of returning the Battlefield series years ago, but refrained from starting with WWII so as to not waste the setting right away. This led the developers to focus on WWI, with WWII as a backup if Battlefield 1 failed to excite players. Battlefield 1 however proved to be a major success for EA, Dice and the Battlefield franchise. The game surpassed 25 million players, outselling previous games in the series, and was critically acclaimed among players and critics alike. News that the next Battlefield game will take place in World War II goes against earlier rumors that the next game in the series was going to be Battlefield Bad Company 3, set during the Vietnam War. While DICE is listening to fans on the future of the Bad Company series, a sequel isn't likely to come out anytime soon. Instead, Battlefield will be going up against last year's Call of Duty: WWII from Activision which also saw that franchise go back in time to an earlier conflict. Call of Duty: WWII also proved to be a hit, becoming the best-selling game in the series and showing also that the market for shooters set in historical periods is hungry for games. Tagged with Activision,	battlefield,	dice,	Electronic Arts,	FPS,	News. Says it's similar to "Alien."